An executive I coached was involved in high stress meetings from 8 to 8 each day. He was known to be hot headed and exploded in anger often. He was so busy that he remained task focused and failed to connect with people. He rarely shared anything personal and the environment he created was tense. Team members failed to speak with him candidly in the face of his stress and anger. He became a new person with a few simple changes. He learned that by taking a few minutes to inquire about a person and be genuinely interested that he no longer had to question them harshly. When his team members felt safe and genuinely cared about, they freely shared developments and concerns. He also shared more openly about his personal life and interests outside of work. People began to see him as a person and were more responsive. To his surprise, he enjoyed talking about his interests in sports and movies and felt more connected. 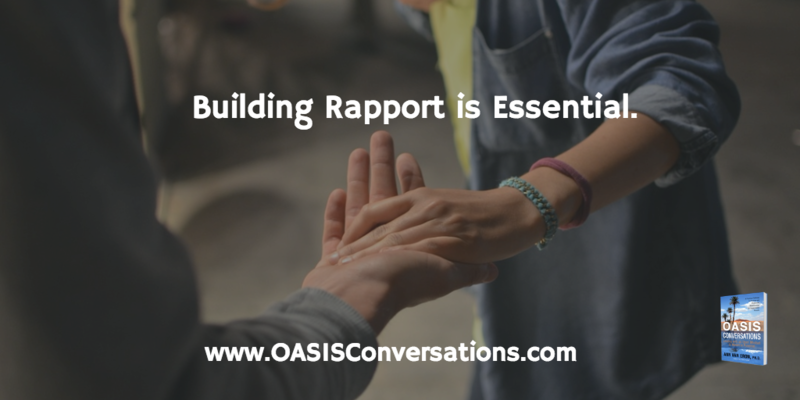 Building rapport is essential. Next he learned to notice and catch his reactions. He was able to pause rather than react and then be more at choice. He could give empathy or ask questions rather than yelling or telling. This worked a lot more smoothly and saved time and energy for all. Noticing and managing our reactions is critical. Finally, he began to notice energy. When he was just thinking and focused on a task and not paying attention to others it felt like he was trying to achieve a goal in the dark. When he remembered to pay attention to the relationship and was more present, it was like a light was on and the goal could be accomplished much more easily. Checking-in to assess our energy and the group’s energy is useful. He took care of himself and maintained his energy by going to the gym, sleeping more, eating well and engaging in his interests. Reminding ourselves of our intention and how we support our energy is valuable. With a clear intention and practice, he was able to build new habits and neural pathways that supported his new behavior. People were supportive of his shift and the team and organization benefited. We all benefit from focusing on both tasks and relationships. 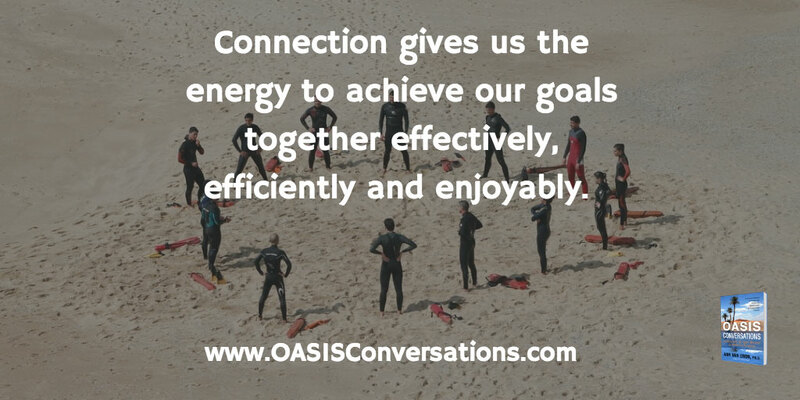 Connection gives us the energy to achieve our goals together effectively, efficiently and enjoyably. This entry was posted in Building Rapport by Ann Van Eron. Bookmark the permalink.